← Is ‘Trump TV’ Really All That Different From ‘Obama TV’? Well the Missus and I trundled up to Salem yesterday to catch It’s Alive! Classic Horror and Sci-Fi Art from the Kirk Hammett Collection (through November 26) at PEM and say, it was scary good. 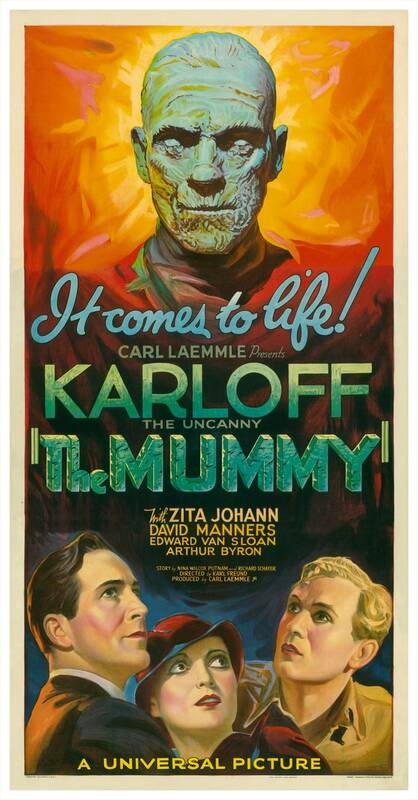 Kirk Hammett, best known as the guitarist of the rock band Metallica, is also an avid collector of classic horror and sci-fi movie posters. This exhibition explores the interplay of creativity, emotion and popular culture through 135 works from 20th-century cinema, including posters by an international array of graphic designers, rare works by unidentified masters as well as related memorabilia such as electric guitars, lobby cards, film props and costumes. The exhibit is a total hoot, chockablock full of posters like this one. 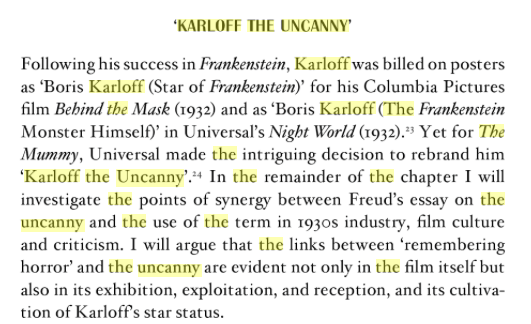 Full disclosure: The Missus and I didn’t get the whole “Karloff the Uncanny” thing, which seemed to surface in the early ’30s and disappear around 1935. This 1933 New York Times movie review isn’t all that enlightening, but this Google Books link to After Dracula: The 1930s Horror Film by Alsion Peirse is more helpful (if a bit oblique). Back at PEM, don’t miss Ocean Liners: Glamour, Speed, and Style (through October 9th) while you’re up there. From the mid-19th century through the mid-20th century, ocean liners were floating showcases of technology, opulence and social sophistication. As icons of modernity and aspirational living, artists, engineers, architects and passengers all vied for influence and access in the creation and enjoyment of these man-made islands at sea. Ocean liners were intricately constructed pieces of culture — in the appearance of their design, the elegance of their engineering and the division of their social space — and each with its own distinct personality. Drawing from international institutions and private collections, the exhibition brings together nearly 200 works including paintings, sculpture, models, furniture, lighting, wall panels, textiles, fashion, photographs, posters and film. Man, that’s the life, yeah? 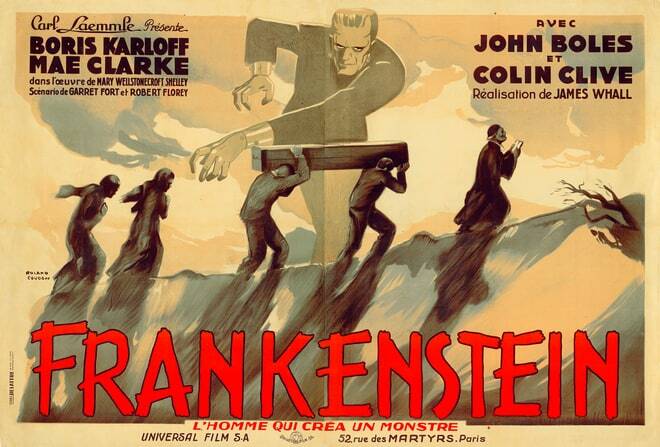 This entry was posted in Uncategorized and tagged After Dracula: The 1930s Horror Film, Alsion Peirse, It’s Alive! Classic Horror and Sci-Fi Art from the Kirk Hammett Collection, Karloff the Uncanny, Kirk Hammett, Metallica, Ocean Liners: Glamour Speed and Style, Peabody Essex Museum, PEM. Bookmark the permalink.